Comet 011130A. 12T 40/41P S350. 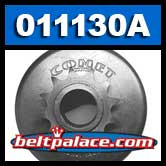 Comet 011130A, 350 Series (3-3/4" Dia.). 12 Tooth Sprocket. #40/41 Chain. 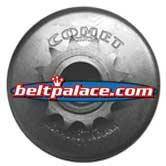 One piece drum with attached sprocket to replace same on Comet 350 Series clutches.